Picking up a 2wd SMB. 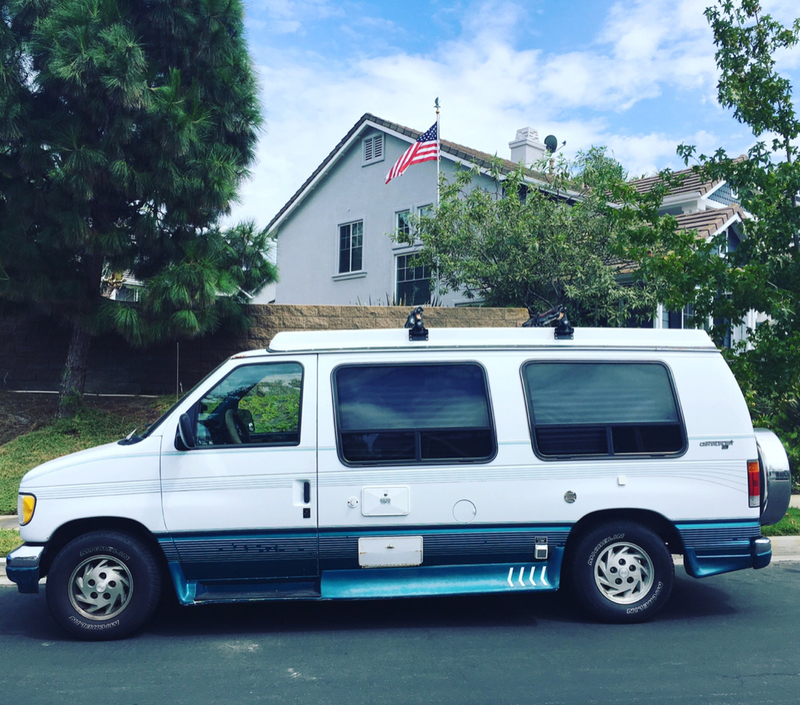 Its on a 93 ford E150 chassis. 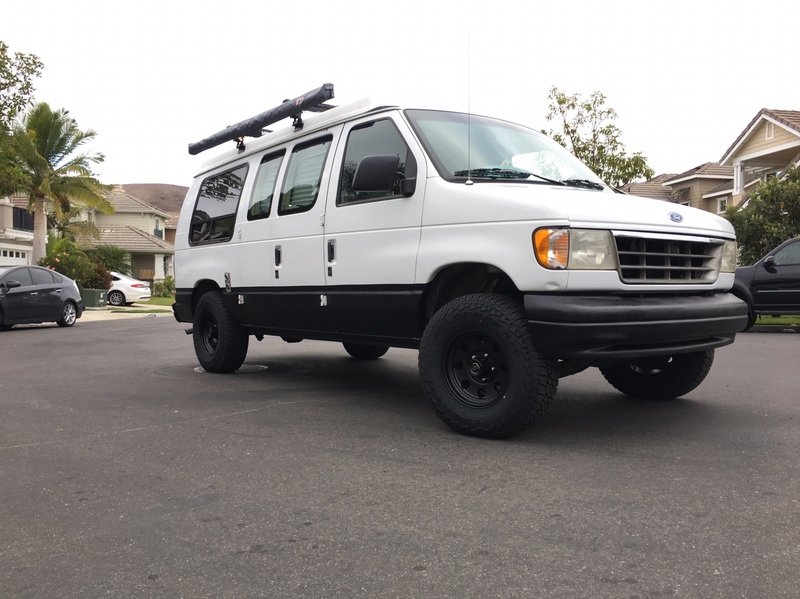 I have looked at weldtec and action vans for lift, but is there anything else out there? Not financially prepared to go 4wd yet, just looking for options. Camburg is another option, but also the most expensive. If you're going the bent I beam route, I would go with Weldtec. You get a kit that is designed by someone who works on vans and you get the proper valved shocks. Camburgs kit is nice, but you would need to fork out extra money to get better shocks. Even their "upgraded" shocks aren't an upgrade unless you have Agile Offroad re-valve them. I did the 2wd lift then went with a 4x4 conversion shortly after. If I were to do it again, I would bypass the 2wd lift if you know you will go 4x4 with your current van. I would have saved a bit of money and a lot of time. I've looked at your thread like 15x. What else did you use besides the moogs in the front? Did you go with new shocks? Rear is just blocks, but what kind of blocks? Just steel pieces? Moogs in the front and Bilsteins on all 4 corners. Had the rears re arched and added 2 leaves to the driver side and 1 to the passenger side to level it out. There are lots to consider when planning a 4x4 converison, just make sure you are aware that your probably going to need to change your rear end when doing this conversion. Also your springs are 2.5 wide on a e150 vs a E250 that are 3"
Most want the 8 log with bigger brakes, things to keep in mind when putting 12-18k in an older E150 van 4x4 conversion. We do have options that are going to start around $800 and for awesome 3440 that will have you thinking I don't need a 4x4 with how nice this drives. Let us know if we can be of any help for your build. Absolutely. I was planning to call you tomorrow. I checked out the leveling kit online which I think would be perfect. Not trying to go full 4x4 yet as it will be mostly driven on the highway and some Baja dirt roads. Online it said your $800 kits were sold out. How far out do we need to schedule the install and how long does it take? I went with the Weldtec Designs 4" lift. Running 16x8 wheels with 265/75/16. Rides absolutely amazing and Jeremy at Weldtec was awesome to deal with. They replaced a bunch of worn out suspension stuff and it drives great. Now we just have to dial the interior.